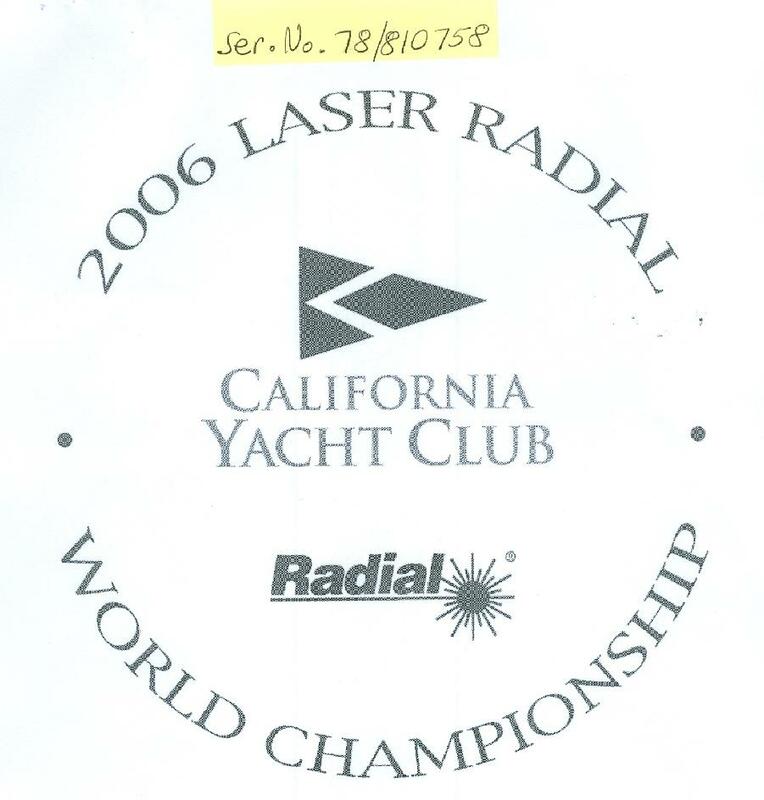 By now everyone believes that Karaya (Jersey) Limited is the holding company that owns the LASER trademark in the US. After all they were even named in the recent Kirby lawsuit. Well, that would be only half right. Karaya holds the trademark in the class of goods that pertain to sailboats, parts, accessories and sails. A close look at that registration reveals that the title is all jacked up and the actual owner of the LASER trademark is a dissolved entity. Maybe that can be fixed and maybe it can't. I’ll post the details of that jacked up registration later. For now, did you know that Velum Limited, an Antigua and Barbuda entity with an address is Switzerland also owns the LASER trademark in the US (not to mention the UK)? 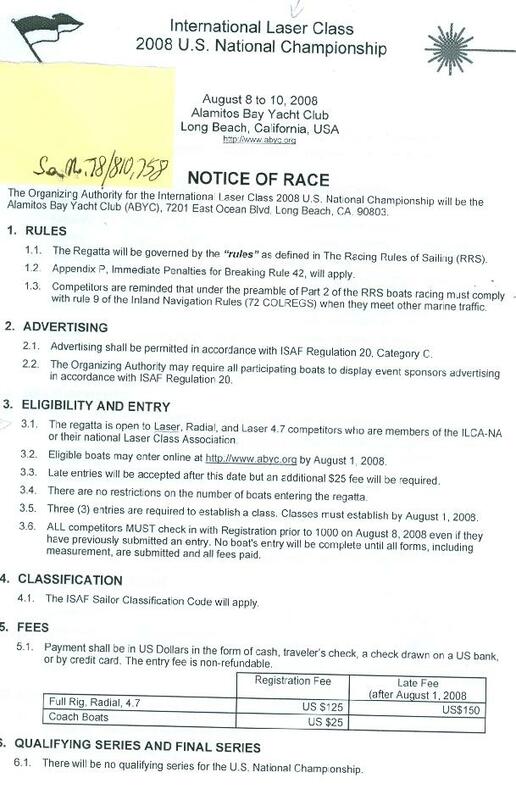 In the US, Velum holds the trademark in the class of services that pertain to “organizing sporting events, namely, sailing competitions, and regattas; sailing schools.” In the UK, Velum holds the trademark for both the goods and services mentioned above. 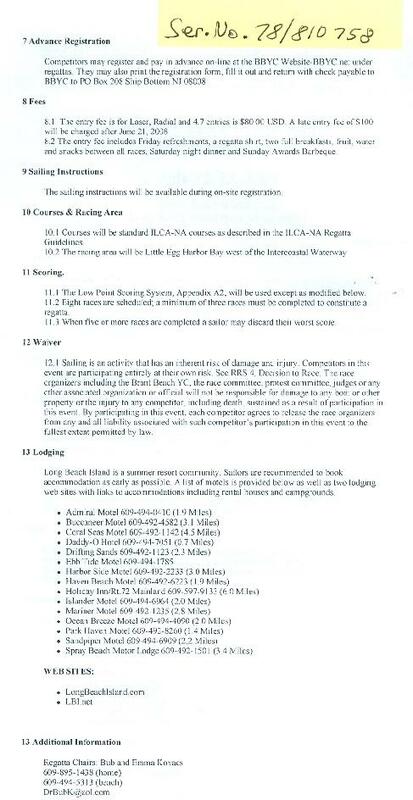 Now I ask you, who organizes and runs LASER regattas? 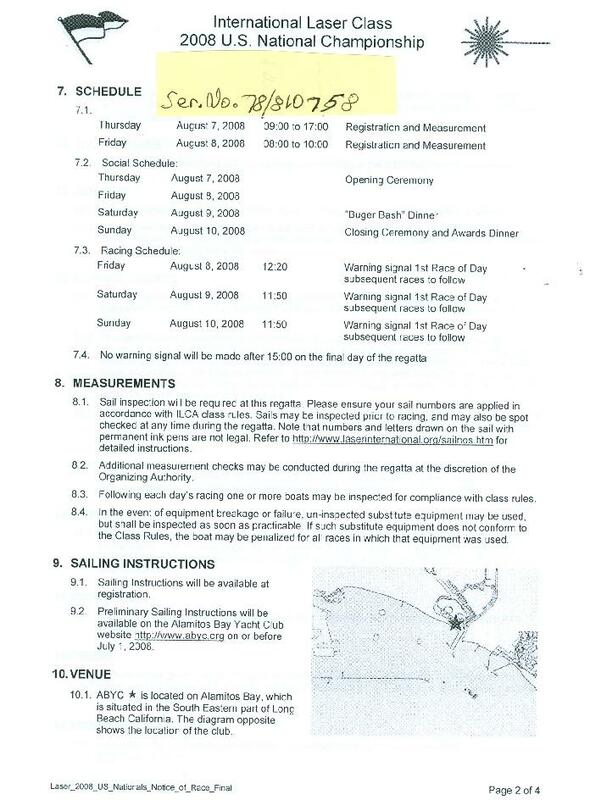 How many times have you personally organized and run a LASER regatta? How many times has Velum or LP done that for you? 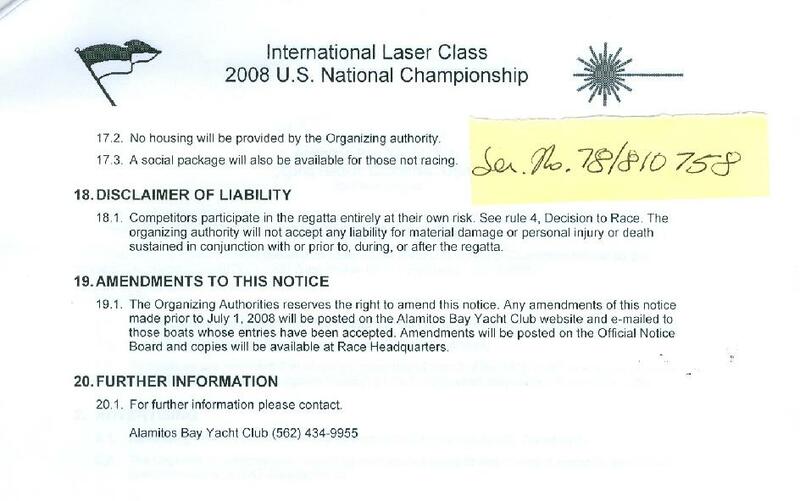 For what purpose do you suppose LP would be interested in obtaining the exclusive rights to the business of running every freaking LASER regatta in the US and UK? The “Statement of Use” indicates that: "… VELUM LIMITED, … is using or is using through a related company or licensee the mark in commerce on or in connection with the goods and/or services." "Applicant is the owner of the mark sought to be registered, and is using the mark in commerce on or in connection with the goods/services identified above, as evidenced by the attached specimen(s) showing the mark as used in commerce. 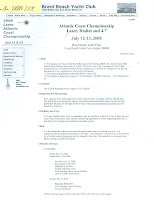 The undersigned being hereby warned that willful false statements and the like are punishable by fine or imprisonment, or both, under 18 U.S.C. Section 1001, and that such willful false statements and the like may jeopardize the validity of this document, declares that he/she is properly authorized to execute this document on behalf of the Owner; and all statements made of his/her own knowledge are true and that all statements made on information and belief are believed to be true." I’ll let you decide what conclusion to draw. My favorite part is "punishable by fine or imprisonment, or both." If only we could be so lucky. 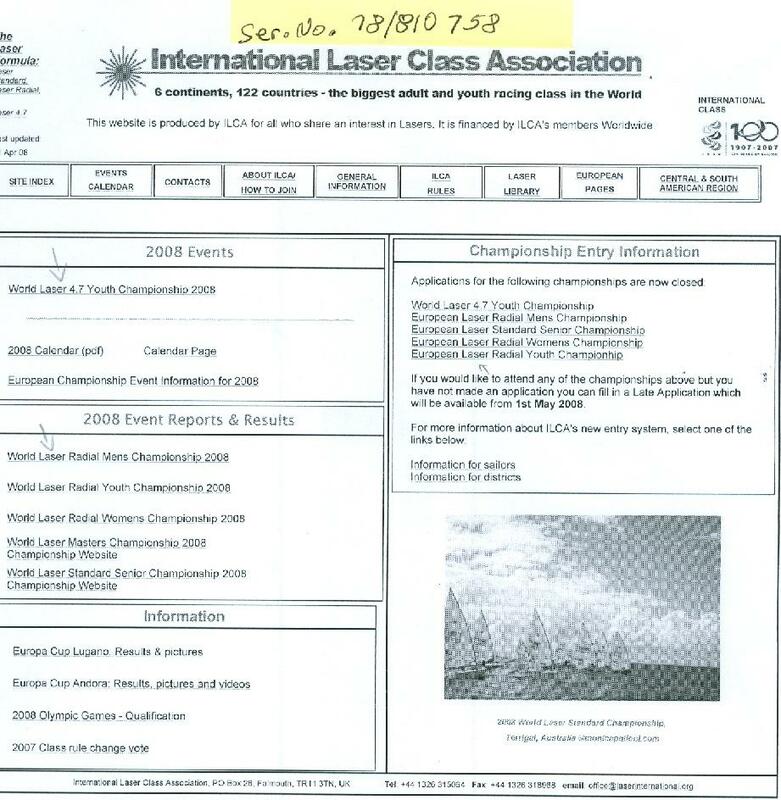 So when ILCA use the Laser trademark (on their website for example) are they doing so with the permission (explicit or implicit) of Karaya or Velum? 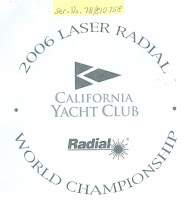 If California Yacht Club uses the Laser trademark in running a regatta are they doing so with the permission (explicit or implicit) of Karaya or Velum? 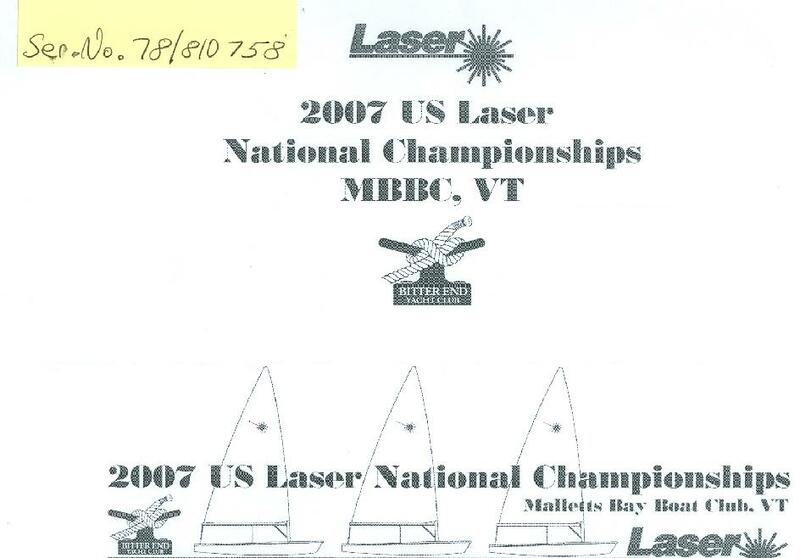 If Mr Rastegar/ LaserPerformance/ Velum wanted to say to some yacht club, "You do not have our permission to use our Laser trademark in running your regatta," could they do so? Sort of seems that way doesn't it? What about the Worlds? Or the IOC? 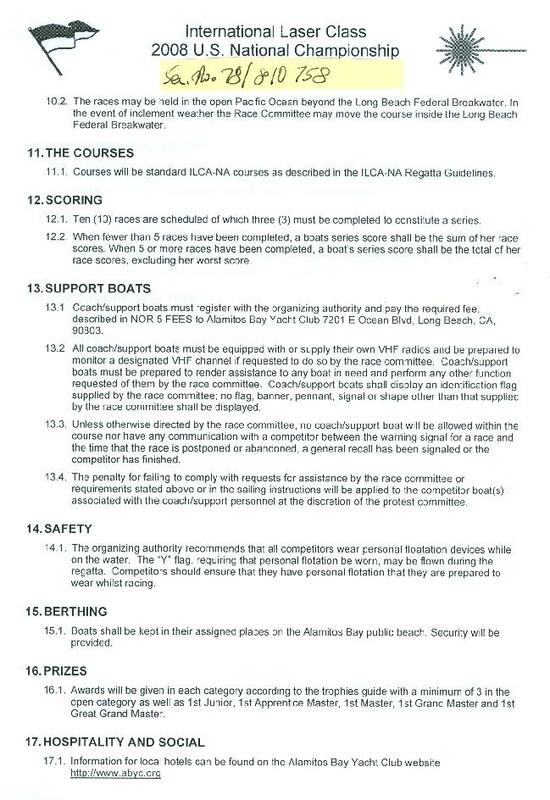 And how does a yacht club's use of the mark when running a regatta constitute an example of Velum's use in commerce? As they say in Texas, that ain't right. Don't know about the rest of the world, but in Australia the builder/trademark owner has always been happy for clubs and classes to use their trademark in organising and promoting regattas, providing t-shirts with logos, etc. I'm not sure how formal the arrangement is, but it is definitely discussed between the class and the builder - I suspect it is documented somewhere. They obviously protect their commercial interests, but if the trademark use is not-profit and for the good of the class they see the mutual benefits. Redstar, that actually hasn't always been the case. I remember PSA getting a bit narky about it in the mid 90's. 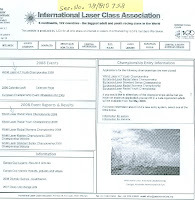 And now Bruce Kirby Inc has filed a petition to cancel the US Laser trademark registration owned by Velum Limited. Smart man. He has also filed an application for the LASER trademark. Go Bruce. Hhhhmmmm, if memory serves (but sometimes it double-faults...) 18 USC 1001 is the section which cost Martha Stewart some months in jail. 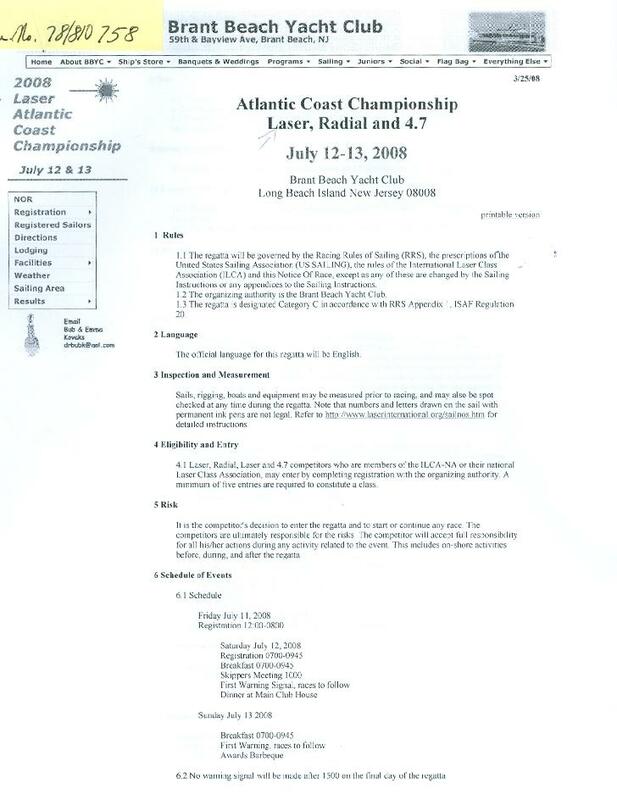 And I seriously doubt that there is ANY paperwork between any yacht clubs and Velum regarding the use of the trademark at a regatta. Well that would certainly be poetic justice.